This past weekend my husband and I, along with two of our friends, took an impromptu road trip to Chicago to go to the Christkindlmarket and then to have brunch at Frontera Grill (more on Frontera later). It's no secret that I love Germany, which is ironic because when I lived there eight years ago, I was dreadfully homesick and wanted nothing more than to live an unenlightened, unexplored life back home in my little bubble in suburban Detroit. But I came away from those two years a changed person and I now have a greater appreciation for other cultures and approaches to life (and it's also where my zest for travel came from). One of the things I greatly appreciate and admire about Christmas in Germany is how festive and comforting it is. There doesn't seem to be this race to go broke buying your family more and more things. Instead of racing to Wal-Mart on Thanksgiving day to trample the mobs of people scrambling for a $200 big screen TV, the pace of German Christmas is much slower and focuses more on quality rather than quantity. Trampling is replaced with meandering. 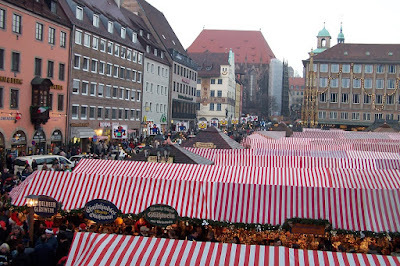 People wander the shops in the downtown pedestrian zone and then make their way to the Christmas Market, usually at the base of the cathedral or city hall, to sip Glühwein and soak in the holiday spirit. When my husband and I returned to the states in 2005 we continued to attempt to find ways to bring a little bit of Germany back home with us, but it just hasn't been the same. I make Glühwein every Christmas Eve, but honestly, there's nothing like meandering along the old, cobbled streets with that bewitching brew between your hands to keep you warm. We even attempted to go to Frankenmuth, Michigan's "Little Bavaria" (AKA, the lamest place you could ever visit if you've actually been to Germany. 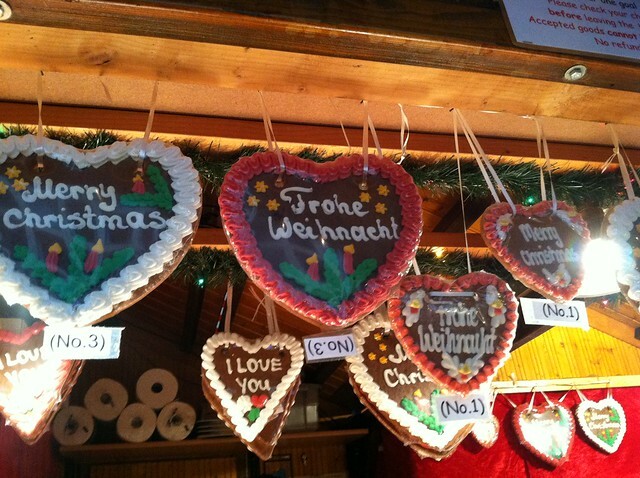 Sorry to all those Frankenmuth lovers out there), a few years ago when word of a "traditional German Christmas market" was said to be going on there, but it was one huge letdown. It wasn't even close to looking or feeling like a German Christmas market. More like something the Rotary Club would put on. There was no attempt at ambiance. It was just a bunch of people sitting under a tent selling stuff. And worst of all: there was no Glühwein! 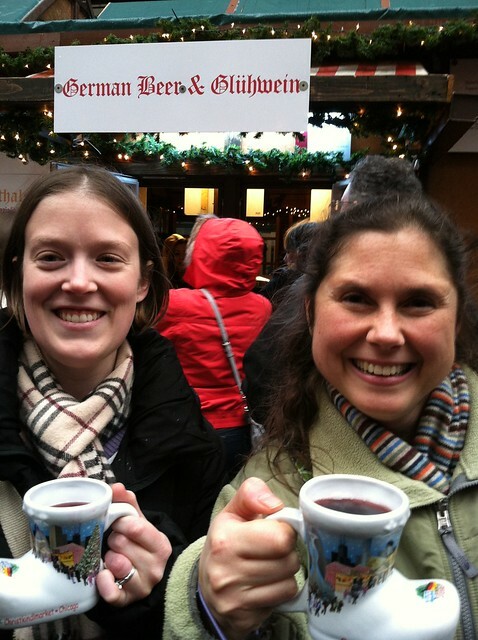 How can you have a German Christmas market without Glühwein? 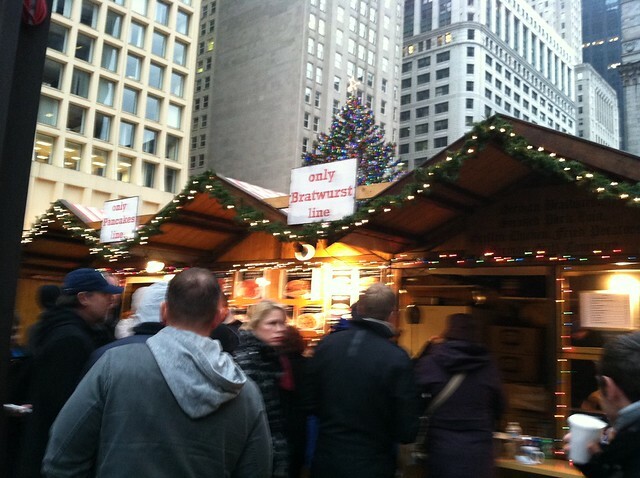 A few years ago, one of my students told me that Chicago puts on a "traditional German Christmas market" every year and that I should check it out some time. Every year I tell my husband that we need to go, but every year the school year pulls the rug out from under me and I never have time to take a weekend to go check it out. 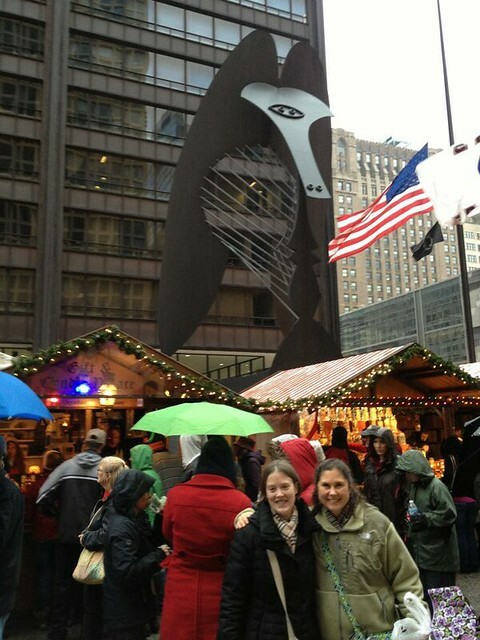 This year I decided to forget about the pile of papers sitting on my desk and the lessons I had to prepare for the next week and I asked my husband if he'd like to go to Chicago for the day to check out the Christmas market. We decided to make a whole day in the city, have a nice dinner, and stay the night so if the Christmas market was a bust, we could at least say we didn't waste 8 hours in the car for nothing . If I were grading the Chicago Christkindlmarket on authenticity I'd say they get it exactly right, but in terms of accommodating the number of visitors, they've clearly outgrown their current location and need to think about finding a larger space. Perhaps I should write someone a strongly-worded letter about that. 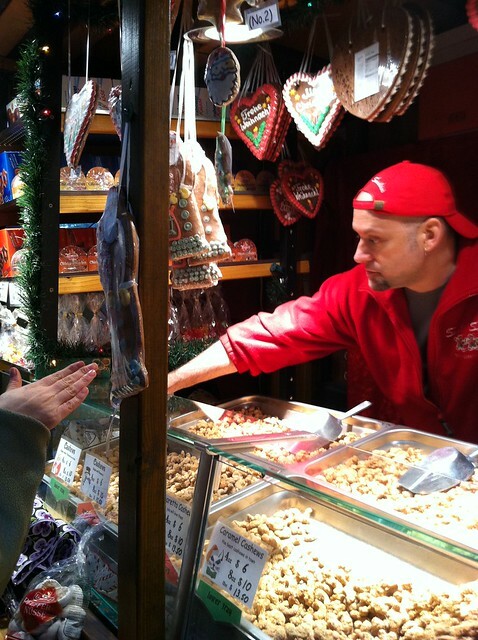 Has anyone else ever been to the Chicago Christkindlmarket? What did you think?